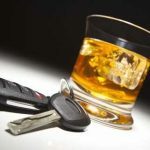 I was recently asked as a Buffalo DWI Attorney what Leandra’s law is, and what they should know about it. Leandra’s Law is a newer law and it means that if you are driving a vehicle with a child 15 years and younger and your blood alcohol content is .08 or more then you may be charged with a felony. I advise clients as a Buffalo DWI Attorney that you could receive greater fines and penalties, revocation of your license and even jail time. If you have been convicted for DWI under Leandra’s Law, contact our experienced Buffalo DWI Attorneys to be your ticket to justice! This short informational video was brought to you by Arthur Pressman, an experienced Buffalo DWI Attorney.